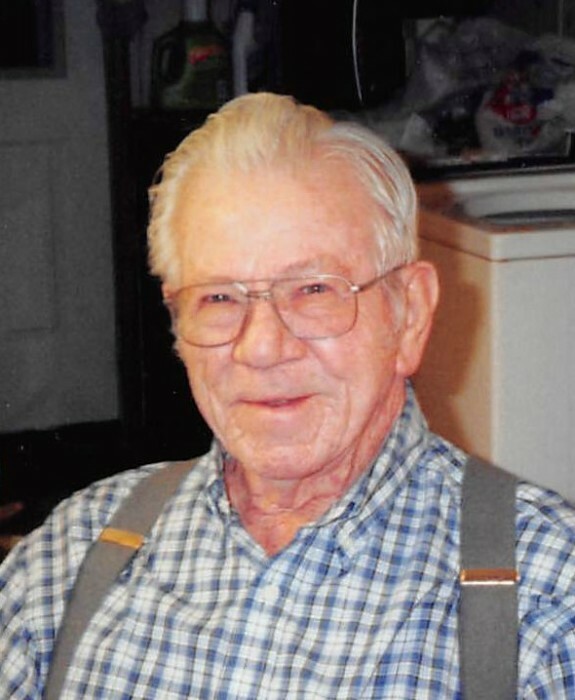 Lyle Dean Lewis, age 89, of Ripley, Illinois and more recently a resident of the Rushville Nursing and Rehabilitation Center in Rushville, Illinois passed away at 1:20 a.m. Thursday, August 23, 2018 at the nursing home. He was born September 4, 1928 in Schuyler County, Illinois the son of Herman and Lucille Fey Lewis. He married Dorothy Dormire in 1952. He later married Sharon Ann Green on September 25, 1992 and she survives. For over 30 years, Mr. Lewis worked as a district sales manager for both Funks Seed in Bloomington, Illinois and Burrus Seeds in Arenzville, Illinois. Earlier in life Lyle taught school in Astoria and Hillsdale and was also engaged in farming. Mr. Lewis graduated from Brown County High School with the class of 1946. He then attended Western Illinois University in Macomb, where he received his teaching certificate and later graduated from the University of Illinois in Champaign with a bachelor’s degree in agriculture. Lyle was a lifetime member of the Ripley Church of God. He was also a member of the Masonic Lodge in Macomb, Illinois. Survivors include his wife Sharon Lewis of Ripley, Illinois. 3 children Daniel Lewis of Oxford, Michigan, James Lewis (Sherri) of Eldridge, Iowa and Sara Lewis (Wes Queen) of Waynesville, North Carolina. A daughter-in-law Sharon Lewis of Sylvania, Ohio. 5 step children. 9 grandchildren and 5 great grandchildren also survive along with several nieces and nephews. He was preceded in death by his parents, 1 son David Lewis, 1 daughter Margaret Lewis, 1 granddaughter and 4 brothers Herman Dale, John Richard, Arlen and Harlen Lewis. Funeral services will be held at 2:00 p.m. on Sunday, August 26, 2018 in the Hendricker Funeral Home in Mt. Sterling with Rev. Richard Young officiating. Burial will be in the Ripley Cemetery. Visitation will be one hour prior to services on Sunday at the funeral home. Memorials are suggested to Brown County Against Cancer, Ripley Church of God or the Ripley Cemetery Association. Condolences for the family may be left on line at www.hendrickerfuneralhome.com. The Hendricker Funeral Home in Mt. Sterling is in charge of the arrangements. | 406 S. Capitol Ave.